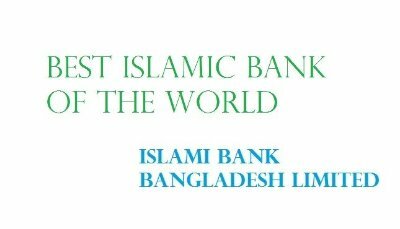 Islami Bank Bangladesh The Islamic Development Bank of Saudi Arabia (IDB) has expressed concern about the massive reorganization of the country's largest private bank, Islami Bank Bangladesh Limited (IBBL), without consulting the bank's foreign stakeholders. In a letter recently sent to Finance Minister AMA Muhith on January 24, IDB President Bandar MH Hajjar said that the Bank's foreign parties - IDB, Saudi Arabia and Kuwait - together hold 52 percent of the Bank shares were not consulted Before bringing the change to the top positions of the bank. He also argued that foreign investors were unable to attend bank meetings as they were held within a very short time frame. The letter further alleged that the bank's important decisions were being made without its concern. The appointment of the new president was also made without following the usual norm. When contacted, Islami Bank President Arastu Khan said: "I am not worried about the issue. I will look at it. But none of the foreign investors came to attend bank meetings after becoming the president." The IDB president in the letter also said that calling meetings in a very short time have become a trend in recent times. Foreign investors can not attend the meeting and verify the documents as a result. The letter further stated that foreign stakeholders felt that control of the bank had been handed over to local and independent investors. Recent changes in the bank's top level have been made without the concern and approval of foreign investors. Islami Bank Bangladesh Limited underwent major and abrupt changes in its three main positions: president, vice president and general manager, on January 5, 2017. Sources within the government said the massive reorganization of Islami Bank's top positions aimed at freeing the sharia-based bank from what the people involved claimed as a clutch of Jamaat-e-Islami men. Bank Islami of Bangladesh began its journey in 1983 as local and foreign investors jointly took the initiative. Foreign investors hold the majority of shares, which is now 52 percent. Previously, it was 70%. The bank has more than 12 million customers in its 318 branches across the country.